1. Don't delay and don't talk yourself out of it. It's time to capture grandma and grandpa in print, on video, via audio, or writing via the web. Grandma's life story or grandpa's life story is far more interesting than you can ever imagine. Really and truly, your own grandparents can tell you things that no one else can share. 2. Find the story behind their pictures. A great place to start is to review an old photo album together. Record what they say about a few of their favorite pictures. You aren't going to have time to get the story behind every picture, but you can get a few of grandma's favorite memories or grandpa's favorite memories through pictures. Pick the ones that are really funny or the ones where their eyes light up as they tell the tale. A picture is worth 1,000 words. 3. Structure is good. You will probably be glad you did your homework and you know what you want to ask when you meet with your grandma or grandpa. You can always ask questions over the phone or email that tech-savvy grandparent with your questions. LifeBio's structure for example would have you ask about people in their lives, childhood memories and historical events, the real world of adulthood, and end with values, beliefs, life lessons, and more. 4. Pick a quiet place for an interview. If your planning to use a video camera, you'll want to pick a quiet spot free of distractions for interviewing grandma. If you are interviewing grandpa and the phone rings or someone walks in the room, it just takes away from the video. LifeBio's online system or iOS app are great options -- either type the bio online or video record inside the app! 5. Smile a lot and speak up. Grandpa and grandma want to know that you are glad to be recording their stories. Also, be sure you are speaking loudly and clearly so you don't have to repeat questions. Mumbling is not a good idea when you are the interviewer. Have confidence in yourself and make sure they know how much you want these life stories told. 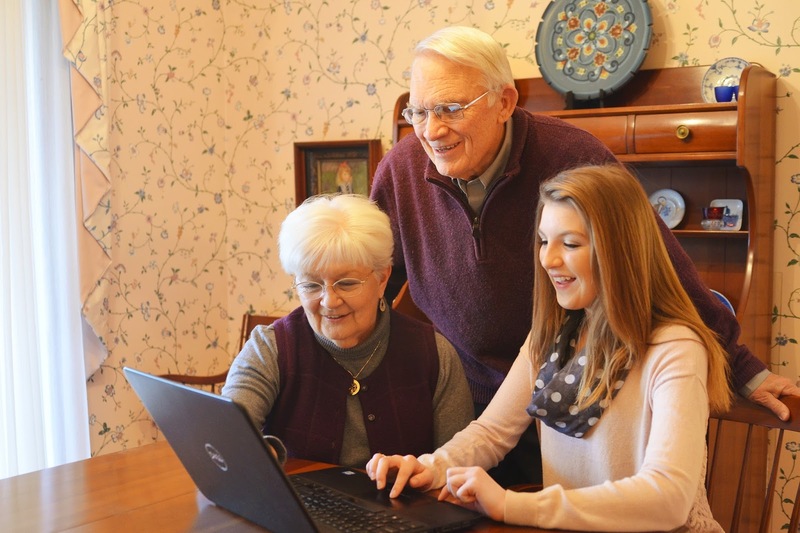 You can help them do something important by capturing grandma's life stories or grandpa's life stories for all time. This is a priceless gift to both of you--and it just might change your life! For more assistance with capturing life stories for yourself or your loved ones, please contact LifeBio at info@lifebio.com or call 937-303-4576. We can help people learn how to write an autobiography!